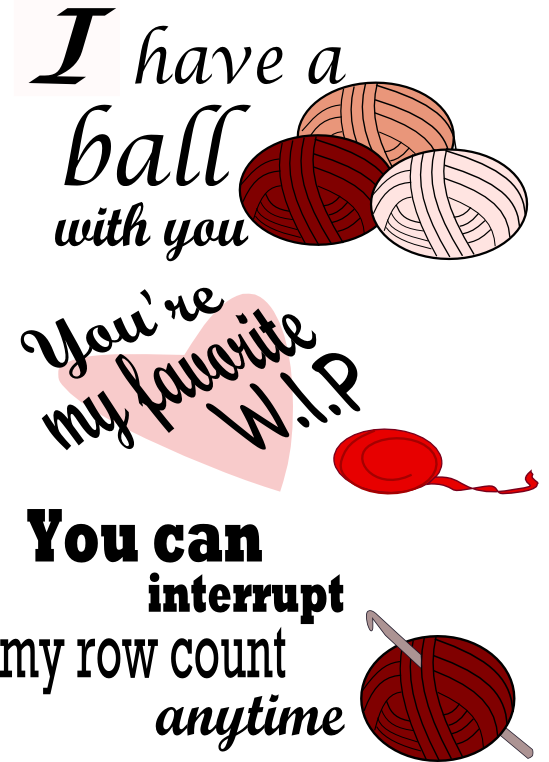 Last year I made two Valentine’s card with a crochet theme. I enjoyed it so much that I made some more for this year. If I am doing it correctly, this should print on one page. Next year I plan on doing them as a .pdf for easier download.